Gershon Baskin: neo-Zionist or paleo-leftist? Gershon Baskin calls himself a neo-Zionist. But what he writes shows that he is an old fashioned leftist who hasn’t learned anything from recent history. His essay is full of false dichotomies, missed points, blurred distinctions, fuzzy generalizations, straw men, and has a generally patronizing tone that I find repugnant. There is no other way. As a neo-Zionist I am more concerned with the Jewish future than the Jewish past, and as such I recognize that we must come forth from the passages of Torah into the reality of the 21st century Middle East, and make the necessary concessions now so that our neighbors can live with the same collective and national dignity that we demand for ourselves. When the peace process gets underway and we will once again be forced to deal with the territorial issue, we will have to choose between settlements and peace. The only decision, for those of us more concerned with our future than our past will be for peace. Settlements or peace. Either you are for peace with our neighbors, or you are against it, blinded by a “messianic dream”. It’s a battle between bearded, Torah-waving fanatics and clear-headed secular Neo-Zionists. There’s no room for anything in between. In particular, there’s no room for anyone who thinks that perhaps our neighbors would not grant us peace in return for a withdrawal to the Green Line. Baskin ignores that the fact that the Palestinians responded to partition plans in 1938, 1948 and 2000-1 by making war, and that they greeted Israeli withdrawals from South Lebanon and Gaza with rocket attacks. Those among us who continue to advocate the Jewish settlement of the Land of Israel beyond the Green Line are in fact guilty of leading the Zionist enterprise toward its end. The settlement project in the West Bank is nothing less than an act of national suicide. The most significant and dangerous obstacle in our ability to reconcile peace with our neighbors is the continuation of the adherence to the archaic modes of our yearnings for Zion expressed by settling the hilltops surrounding Palestinian towns, villages and cities that turn the lives of the Palestinians into a daily hell. Funny, it would seem to me that the “most significant and dangerous obstacle[s]” to peace today are called Hamas and Hezbollah. After all, they want to kill Israelis and destroy the state. And where is a “daily hell” to be found if not in Sderot? Baskin denounces the “settlement project”, but he doesn’t explain what a settlement is and why the Green Line (more or less the 1948 cease-fire line) is so important. Are settlements in Gush Etzion, which was in Jewish hands before the war of independence, part of it? What about the parts of Jerusalem which were ethnically cleansed of Jews by the Jordanians in 1948? Should Israel return to a border that was 9 miles wide at one point? Even Ehud Barak who went further than any Israeli leader before him in negotiations with the Palestinians, destroyed the very process that he wanted to conclude by his misguided continuation of an accelerated settlement program. Ehud Barak destroyed the process? Had Arafat accepted Barak’s final proposal, something like 97% of the West Bank would have been in Palestinian hands. But Arafat didn’t accept it, just like the Arabs in 1938 and 1948 didn’t accept partition. Gershon Baskin, unfortunately, is not the only one who speaks and writes like this. If the rest of us have learned anything in the past 20 years or so, it’s that the problem is not that Israel isn’t prepared to pay a significant price for peace. The problem is that the Arab world (and it’s impossible to talk about the Palestinians by themselves) are not offering it — at any price. One of the most effective propaganda techniques around is to keep repeating the most extreme exaggerations and outrageous falsehoods imaginable about your enemy; the reader applies a reasonable discount and assumes that maybe 25% of what you say is true. Of course, the real percentage is close to zero. This works especially well if your enemy is more or less truthful. Then the reader is inclined to split the difference, and believes 50% of your rubbish. The flavor and aroma of Middle Eastern journalism, too often tends in the direction of the camel dung, bad sanitation, rotten eggs and spoiled meat of racism and xenophobia, rather than the kusbarah and hel and fresh ground Turkish coffee of original and imaginative thought. Read the article and note the examples. We can laugh at the crazy rantings that pass for ‘news’ and ‘analysis’ in the Arab world, but the fact is that it is highly effective, especially with people who read only Arabic (or who are illiterate and learn their facts from TV and radio). In that case, the believability factor is not 25% or 50% but approaches 100%. It can be argued that this phenomenon — much more than differences in the concrete interests of the parties — is a major motivator of terrorism, and perhaps even the single most important factor preventing real peace settlements between Israel, the Palestinians, and the Arab nations. If you want to know who desires peace and who doesn’t, just ask “who sponsors the incitement”? The truly execrable Los Angeles Times is at it again. Contributor Barry Rubin responds to a recent editorial. History is continually being revised. Although written first by the victors, over time the voices of the defeated and disregarded demand inclusion. China and Korea insist that Japan acknowledge wartime atrocities; Native Americans, that their 4,000-year history become a part of this country’s founding narrative; and women, that their deeds get equal scrutiny with those of men. Whether most Palestinians fled their homes voluntarily or through coercion and force, and whether they have a right to return, will likely be argued until the end of time. But that thousands did flee and have spent subsequent decades living in refugee camps — the United Nations says that descendants have swelled the number of refugees to 4 million today — is not at issue. Why not teach that truth? By amending history textbooks for Arab children, Israel has acknowledged the validity of the Nakba. And if it’s valid for Arabs, it should be valid for Jews as well. What is really amazing about something like this is that those writing it don’t have the least consciousness of the fact that in Arab and Palestinian media, books, politics, etc., nothing that Israelis and Jews say, feel, or have experienced is acknowledged in any way. In other words, they and others demand that Israel be completely balanced — and criticize anything that appears not to be — while not demanding anything of the other side. I might add that I am not opposed to a passage being put in Israeli textbooks saying that the Arabs consider the creation of Israel a disaster for themselves. But for the Los Angeles Times, one might expect some minimal attempt at balance, even if only to protect those writing it from well-grounded accusations of bias or stupidity. Something along the lines of: And Palestinian textbooks and media should also be revised. Yet in this seven-paragraph-long editorial there is no mention of how the Arab world deals with Israel or Jews. And if one points out how ridiculously imbalanced what they are doing is, those parts of the media and Western intellectuals who say such things would either be startled or dismissive. Let’s assume that Israel’s coverage of the Arab/Palestinian world view is just barely passing. That would make the score 80 for Israel and 0 for its enemies. But there is still more ignorance here. First, every Israeli knows about how the Palestinians view the situation. Palestinians, both leaders, and average people, are constantly quoted. The observance of Nakba Day, a recently created Palestinian commemoration mourning Israel’s creation, is widely covered in the Israeli media. When a long series on Israeli history was televised about two years ago this point was included. But the opposite does not apply. Any survey of the Palestinian media–and that includes the television and newspapers controlled by the Palestinian Authority–will rarely if ever find any examples of empathy or even honesty about Israel, its people, or its history. MEMRI, Palestinian Media Watch, and the U.S. government’s Foreign Broadcast Information Service, can and have supplied huge numbers of examples of this situation. While there is some debate over exactly what current Palestinian textbooks contain–whether they reject Israel’s existence altogether–there is certainly nothing that says, for example, “The Zionists felt a strong connection with their ancient land and argued that reestablishing a state there was necessary for their people’s survival and well-being.” The book could then go on to explain why Palestinians rejected this idea. Palestinians and Arabs in general are taught by every source — sermons, government statements, textbooks, etc. — that Israel is evil and illegitimate. The great majority of the time, the few statements that contradict these claims are discouraged, censored, or punished. In general in the Arab world, Israel and Israelis are presented as monstrous murderers. In the Israeli media — tv, radio, and the four main daily newspapers–the presentation of the Palestinians is not that much different from what appears in the American media. There is considerable sympathy for their plight coupled with exposure and scathing criticism of any action that Israel’s government or army commits that is deemed illegal or immoral. Soldiers who kill or injure civilians are punished or put on trial. On the Palestinian side, no one has ever been punished for terrorist acts against Israeli civilians (at most, they are convicted of staging attacks at the wrong time, and even these people are quickly and quietly released). How then can such nonsense appear in elite American newspapers, so totally one-sided, demanding perfection from Israel and nothing from the other side? Clearly this must be an example of a philosophical standpoint which is distorting the truth and greatly damaging — I am tempted to write the words, “possibly helping to destroy” — the cause of truth-seeking, democracy, and freedom in the world. The roots and effects of that world view, which applies nowadays to far more than Israel, need to be explored and combated. 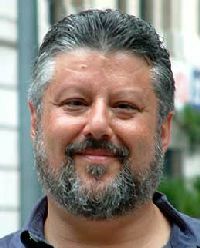 Barry Rubin is director of the Global Research in International Affairs (GLORIA) Center, Interdisciplinary Center (IDC), editor of the Middle East Review of International Affairs, and author of the recently published The Truth About Syria (Palgrave-Macmillan). Why won’t the US sell Israel the F-22? Israeli officials were recently upset to learn that the US plans to sell laser-guided JDAM devices (to convert ordinary munitions into ‘smart bombs’) to Saudi Arabia. In addition to the risk of the Saudi air force joining in a regional war against Israel, there is no way to prevent the transfer of these kits to other nations. The US, of course, will go ahead with the sale despite Israeli opposition. Last month, Defense Ministry Diplomatic-Military Bureau head Amos Gilad and Maj.-Gen. Ido Nehushtan, head of the IDF Planning Directorate, met with senior Pentagon officials in Washington to discuss the proposed deal and to see if it could be changed in Israel’s favor. According to senior officials, the Israeli delegation walked away from the talks disappointed and dissatisfied. An Israeli request to acquire the F-22 [Raptor] stealth bomber – a plane that can avoid radar detection – in order to retain its qualitative edge was also turned down, the officials said. The US has always promised — and continues to promise — that it will maintain Israel’s qualitative military superiority in the region. And especially with Iran receiving advanced weapons and aircraft from Russia, this is more important than ever. 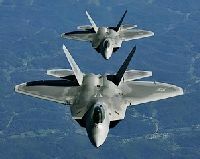 So why does the US not wish to sell F-22’s to Israel? Surely it must be hard to turn down orders for a plane that may cost from $100-$300 million each. By ‘technology protection’, they mean in part limitations on access to internal software or firmware; so the buyer can fly the aircraft and use its systems, but he can’t (theoretically) determine how it works or duplicate it. But there are also political factors in play. And this is what bothers me. The range and stealth capabilities of the F-22 make it exactly what Israel would need in the event of a conflict with Iran — or indeed any regional conflict. It’s not outrageous to speculate that some entities with which the US has a close relationship would prefer a weaker Israel. Saudi Arabia, for example, has a great deal of influence on the administration. How about entities with which the US does not have a close relationship, but wishes to influence concerning Iraq? Even Iran has leverage in this context. And finally, we can’t forget the circles within the US government (e.g. the State Department) which want a more pliant Israel — which means one with less deterrent capability. Anti-Israel voices make a big deal about not trusting Israel to keep the technology safe (“might as well fly it to China”, says one), but these aircraft are built in export versions precisely to provide ‘technology protection’. I’m afraid that the reason is political, not technical. Meanwhile, thousands of refugees from Darfur have made the difficult journey across Egypt, and into Israel, where they are finding refuge. “As Jews, who have the memory of the Shoah embedded within us, we cannot stand by as refugees from genocide in Darfur are knocking on our doors. The memory of the past, and the Jewish values that underpin our existence, command us to [perform] humanitarian solidarity with the persecuted.” This was what Yad Vashem Chairman Avner Shalev told a small group of Sudanese refugees who were touring the museum that commemorates the struggle of Jews in the Nazi period. Many Jews, both in Israel and the Diaspora, feel that solidarity with the refugees from Sudan means absorbing a large number into Israel. And this is undoubtedly what will happen, despite the fact that Israel has only a limited capability to absorb such refugees.